For anyone looking to discover someplace beautiful and off the beaten track, Kibale Forest National Park is a top tourist destination with something unique. This forest offers Africa as you have always imagined it - wild, green, and beautiful. 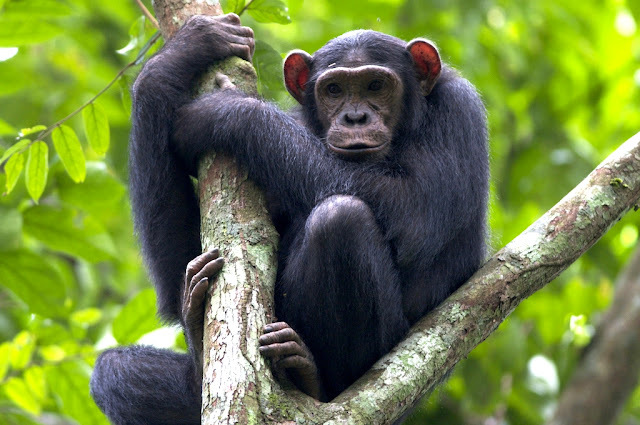 Famously known as the home to a remarkable 13 primate species including the Chimpanzees. CHIMPANZEES – Track into Kibale National Park and on arrival you will be greeted with a swarm of butterflies mostly in the dry seasons, and should be noted that during these drier months are the optimum time to track chimpanzees. Kibale Forest National Park has been a reserve since 1932, but it was not until 1993 that this 700-square-kilometer wilderness was declared a National Game Park, pulling tourists and researchers from around the world to come and experience its unique flora and fauna. And standing at altitudes between 3,000 and 4,500 feet, it is refreshingly cool to climb to. Expert trackers mostly known as guides lead the way into the forest ready to take visitors on walks in search of our closest cousins the chimpanzees. On landing at Entebbe International Airport, which is located just outside the capital Kampala, you will need to connect Kibale National Park by road. And the easiest way would be booking a driver guide to meet you at the airport or through a local tour operator. The journey from Kampala City to Kibale takes maximum three hours on road in a 4x4 Safari Landcruiser since it might get bumpy in some parts but this cannot take away the beauty of this place, as you go through forest and savannah and winding between tea fields. Chimpanzee trekking costs US$150, which includes the guide fee. 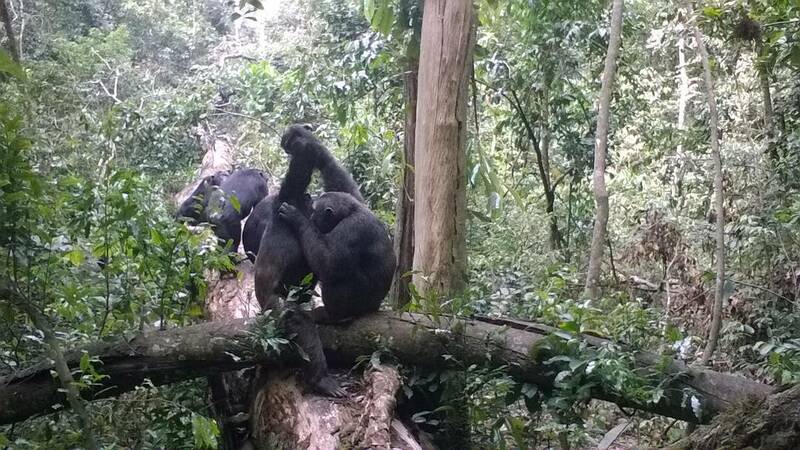 The National Game Park fee for Kibale is US$40. Private tours to Uganda's national game parks can be taken with the help of a professional guide assigned to you by a tour operator. The same professional driver and guide will accompany you and at the same time give you great insight through your well-tailored Safari to Uganda. There is quite a number of good places to stay in on your Uganda Safari to Kibale National Park for chimpanzee tracking. Ranging from budget to luxury, take for example Primate Lodge, an eco-lodge run by Uganda Wildlife Authority (UWA), that is set within the game park with safari tents, cottages, a tree house, and a campsite would be a great pick.